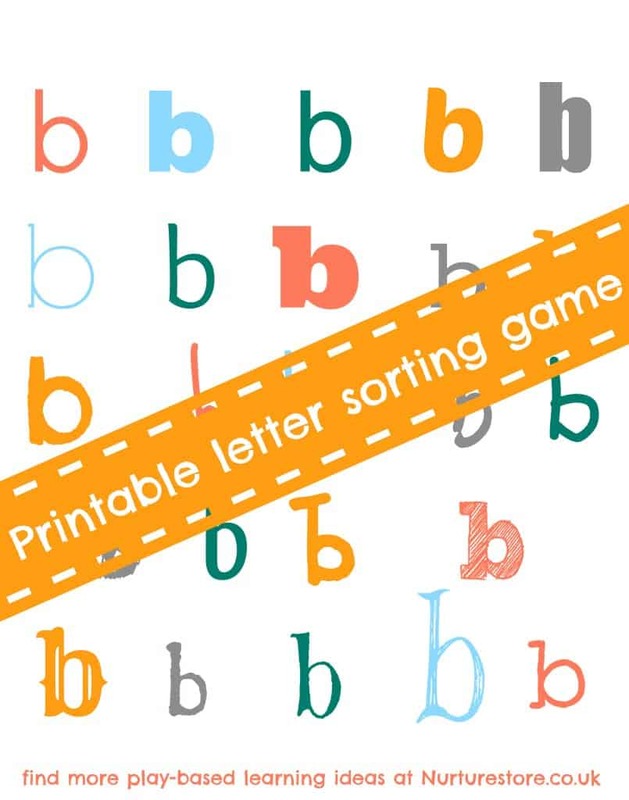 I’m always looking for ways to make our learning fun, so here’s a printable you can use for alphabet games, especially focused on the often-mixed-up letters b, d and p. It’s something I’m working on with my daughter right now, and with the addition of our hungry monsters, the learning is coming along with lots of giggles too. The English language doesn’t make it easy for children to learn the alphabet and spellings, does it? One thing many children taken time to work out, is recognising what’s a ‘b’ and what’s a ‘d’ (and often also what’s a ‘p’). I’m never in a hurry to push this kind of learning, but I can see my daughter is getting frustrated because the ‘b’s and ‘d’s always trip her up when she’s reading and writing. So, here’s a little game we’ve been playing, to have some fun spotting the difference. First of all, you’ll need a set of letters to play with. If you click on the image up at the top, you’ll find a pdf document with lots of lovely ‘b’s, ‘d’s and ‘p’s. 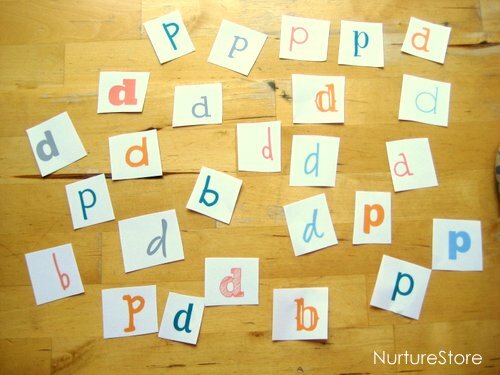 They’re in a variety of fonts, to help your child get used to spotting the letters, however they’re written. 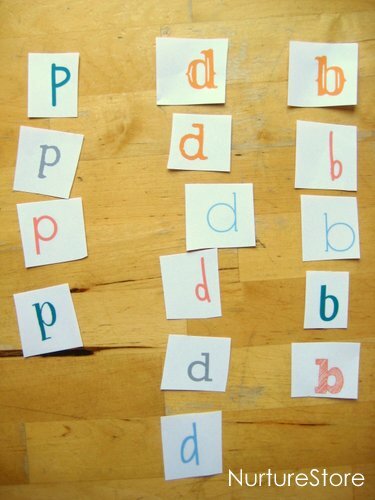 If you print them off onto card rather than paper, you can cut them all out and easily make a set of letter cards to play with. 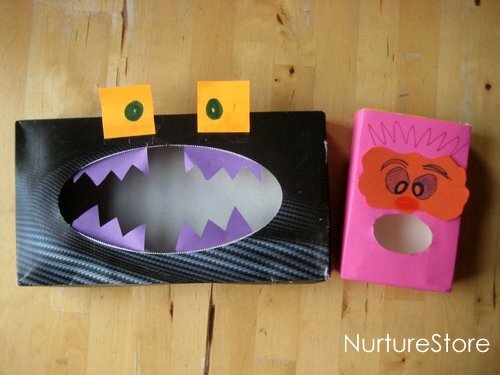 :: but we’ve been joined by our cheeky Monsters again this week. 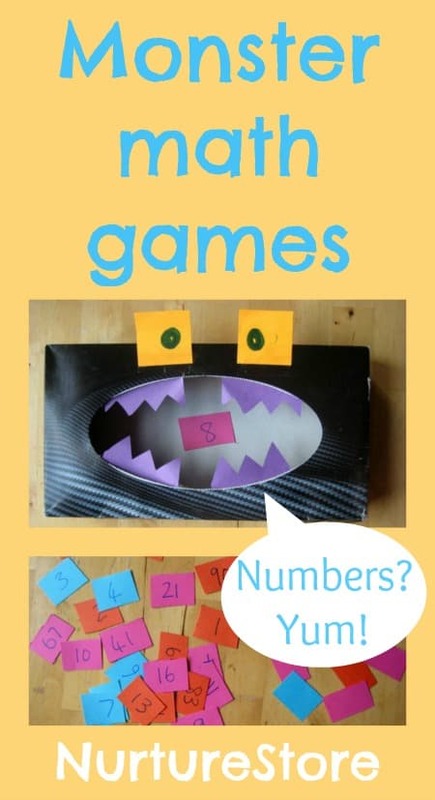 Remember the monster math games? This week they’re had a change of appetite. 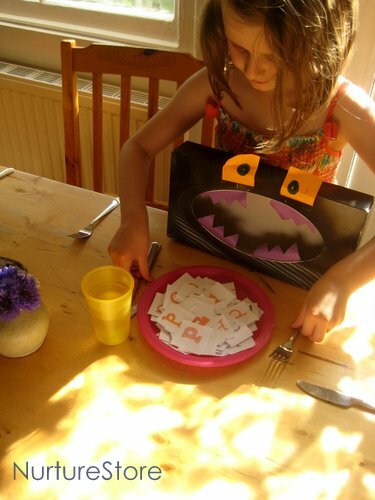 Mega Monster only likes to eat the letter ‘d’, so we’ve been sorting the letters and making sure we feed him just the right ones. Additional chomping noises as you play are optional. Here he is, supervising the dinner preparations! And joining us at the table for dinner! 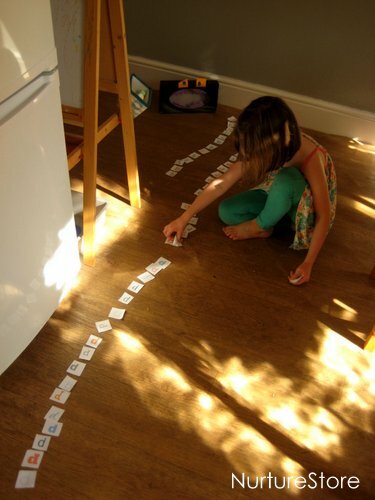 For some more play-based alphabet games, you might like our zingy sight word sensory tub or our A – Z of learning how to write. And you can see the monster math game here.